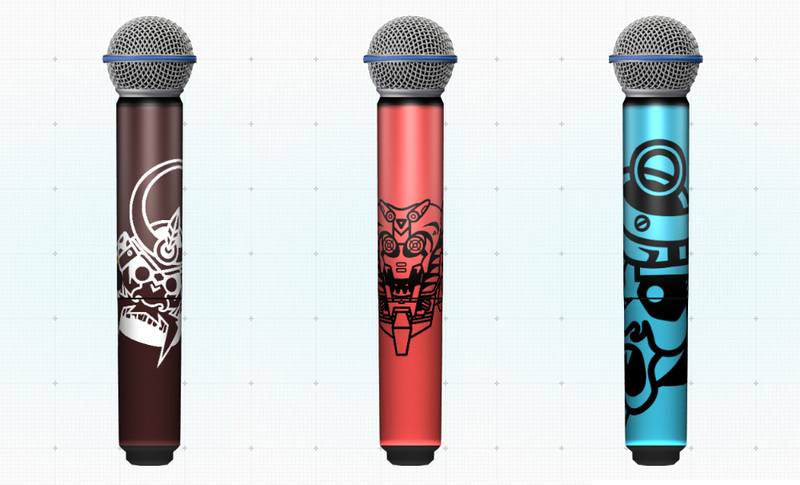 We recently launched Shure Design Studio, a tool that lets anyone create custom microphone handle designs. Designing a fun, usable UI for this project was a blast. Possibly even more fun: the project included creating a library of built-in custom designs. To give users a range of styles to choose from, three designers here at Viget came up with custom illustrations, patterns, and textures, all designed to look badass on a microphone. 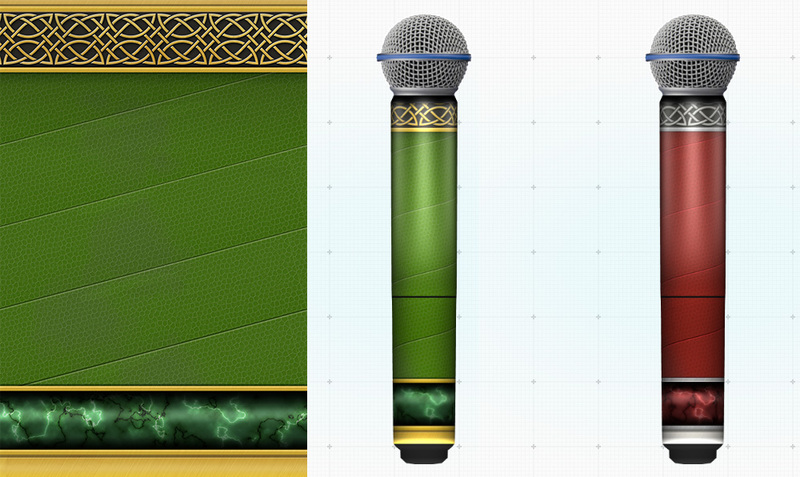 Part of Design Studio’s customization abilities includes being able to change the microphone’s handle color to any color of the rainbow. Therefore we needed the designs to be flexible, and in some cases use transparency, so they’d pair nicely with a wide range of colors. 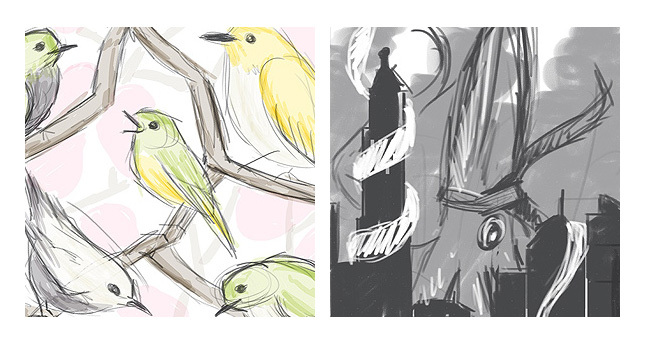 We also came up with color variations of illustrations to accommodate different tastes. Beyond that, the sky really was the limit. Each designer had a ton of fun stretching their creative muscle! 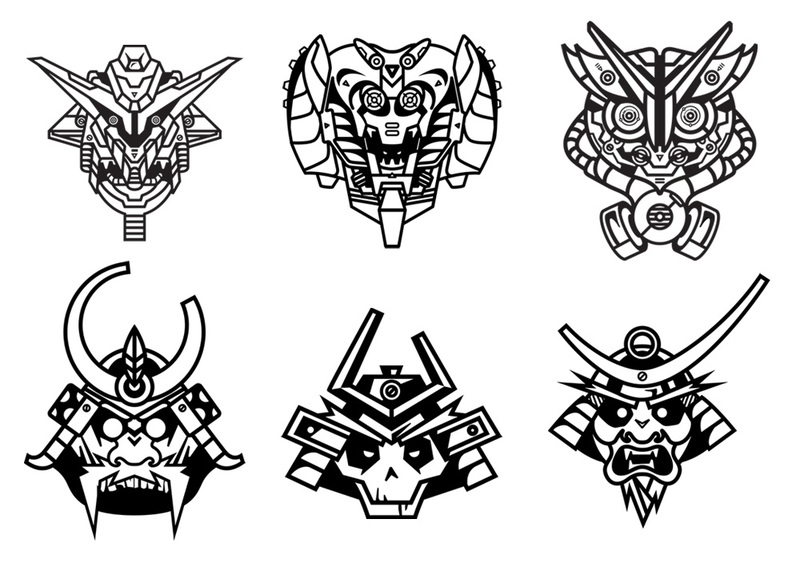 So we wanted to showcase the work and craft that went into each of these designs. Minh went with really crisp illustrations that didn’t need background or color, and therefore worked on microphones of any color. The illustrations scale up and down beautifully. They look good small; but with their level of detail, they also look great scaled up until they’re almost abstract patterns. 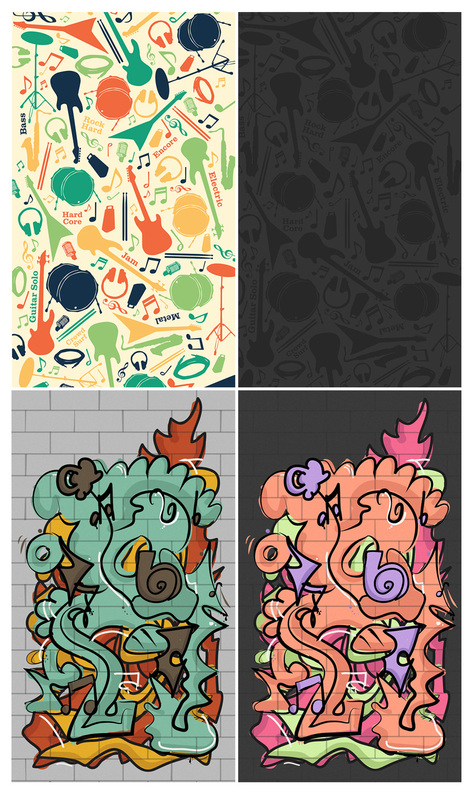 For the Design Studio's library, we inversed each illustration to make both a black and white option available, depending on what works for the microphone color chosen. One of the patterns Minh created included this blue kaleidoscope type design. 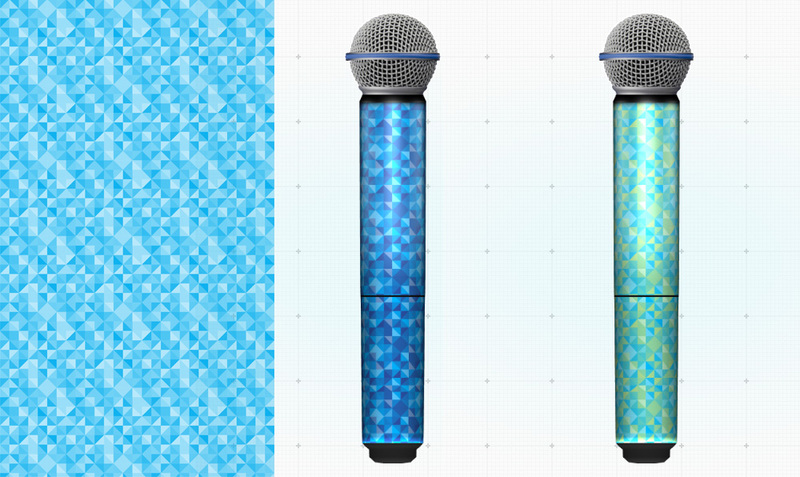 The semi-transparent blues interact with the microphone’s background color in fun, unique ways. Here you can see how differently the blue looks over a purple microphone versus a yellow microphone. 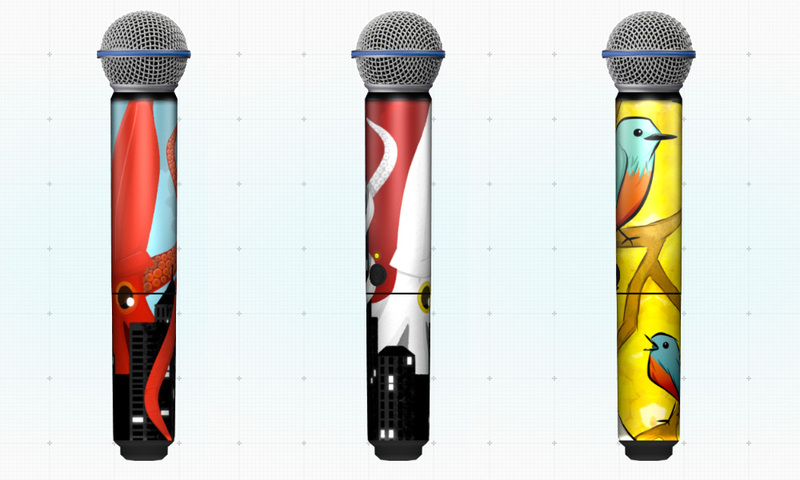 Steve’s illustrations were colorful and detailed to take full advantage of a microphone’s lean shape. They look fun and graphic at all angles. Steve’s patterns included transparent, geometric designs, like this one, that are neutral and work equally well with any handle color. I went in the two extreme directions that equally appealed to me: super cute and girly songbirds, and giant killer squids attacking a city. Color variations of both illustrations and playing with transparency give the illustrations some flexibility. 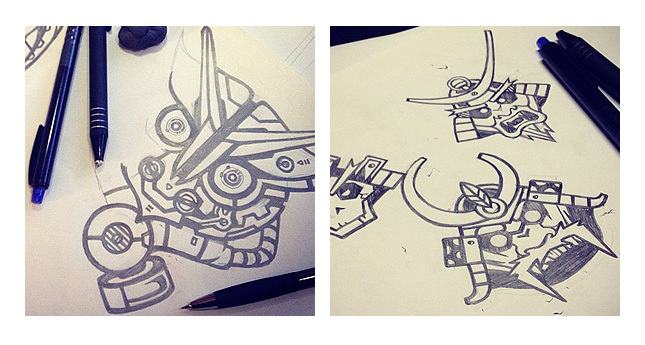 Super rough sketches before I got these guys into Illustrator. 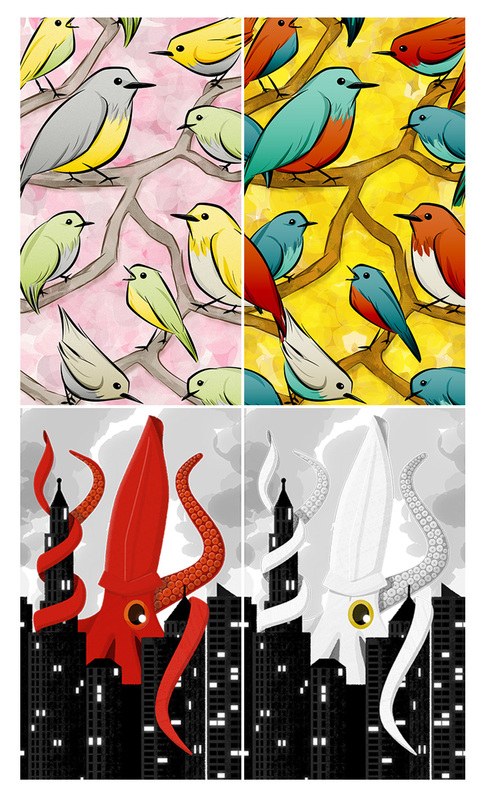 The transparent sky behind the giant squid means that you can create anything from a red, apocalyptic hellscape or a lovely blue sky for the squid’s big day out. I also created an ornate sword hilt texture for the gallery. A microphone that looks as majestic and important as Anduril (The Flame of the West. Forged from the Shards of Narsil.) seemed irresistible. 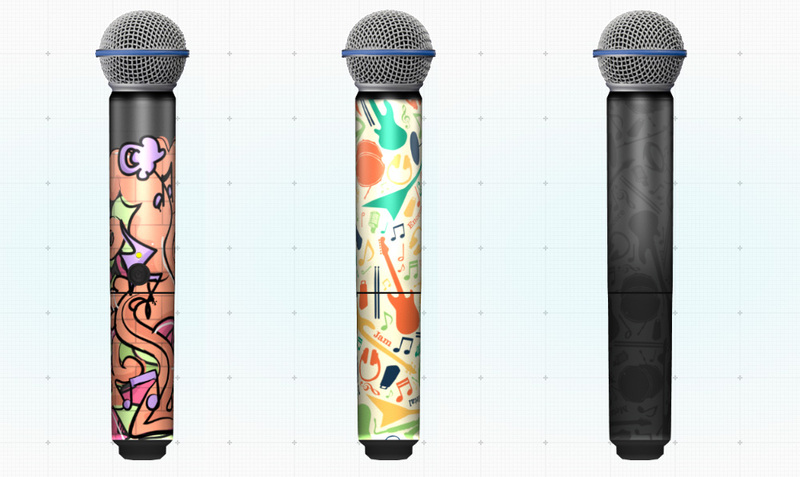 The variety of illustrations are really fun, but only the tip of the iceberg of ways you can customize a microphone in the app! Aside from the library of these designs, you can use customization tools within the app, or upload your very own design. 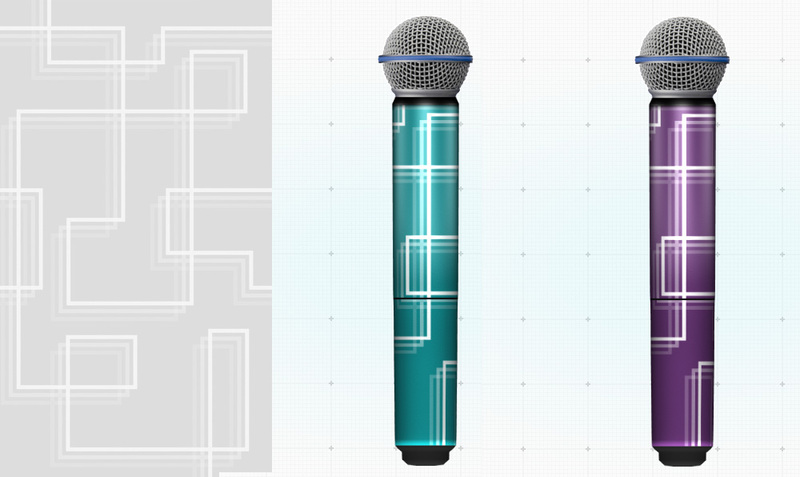 Check out the Shure Design Studio for yourself and create your own microphone design! Or if you want to simply play around with these illustrations and see what they can do, feel free to go straight here and start poking around this sandbox entry. Read our case story for a deeper look at all the aspects of this project.